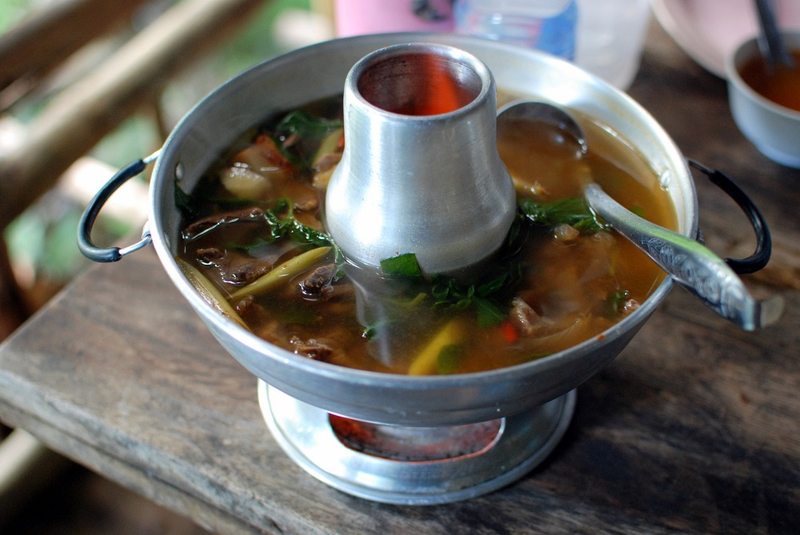 Thai hot and spicy soup or known by the local as "Tom Zaap" is typical northeastern Thai dish found everywhere in Thailand. This soup has multiple tastes of Thai food, salty, sweet, sour and spicy. The main ingredients are bunch of Thai herbs. The most chosen meat to be added for this soup is pork Rib which is called "Tom Zaap Kradook Orn"